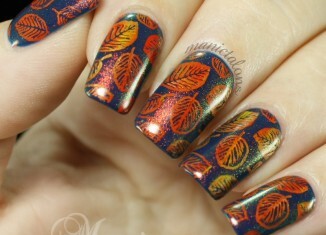 Home Tags Posts tagged with "Polish nail artist"
Nail Artist Interview: 15 Questions With Paulina from fall in…naiLove! 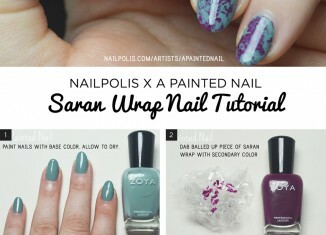 In our last newsletter, we asked all of you which artists you’d like us to interview on Nailpolis Magazine! 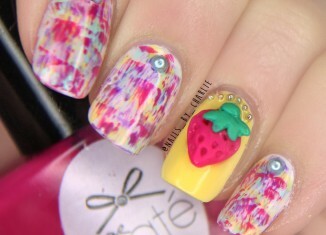 Lots of great artists were recommended, including Nailpolis member and Polish nail artist, Paulina from fall in naiLove! 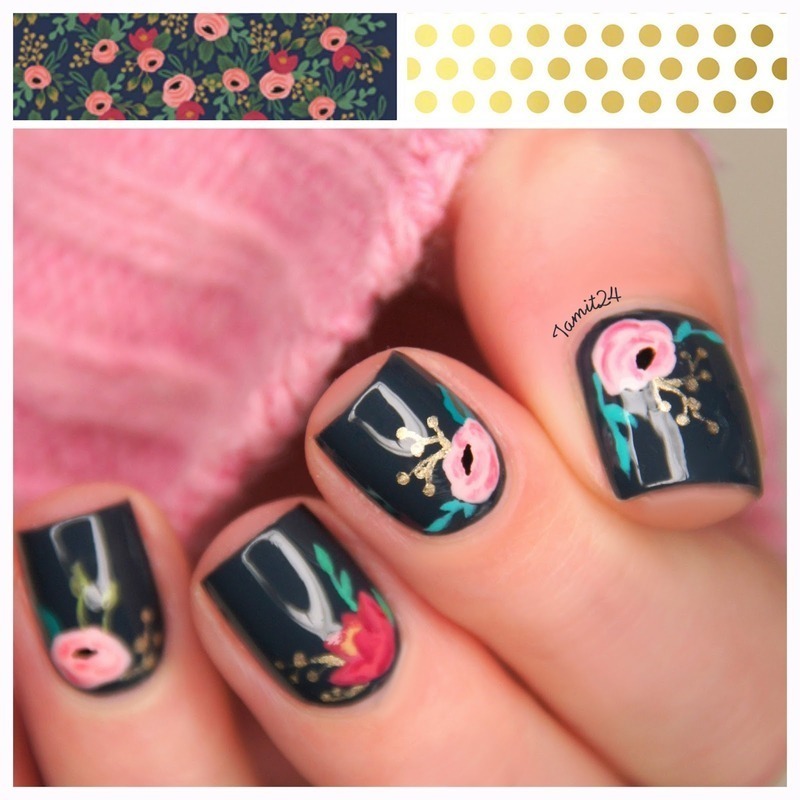 If you’ve been with Nailpolis since February, you may know that Paulina’s love birds design won Nailpolis’ 2014 Nail Art Contest. We’re honored to interview her this week, and we hope you enjoy reading this! 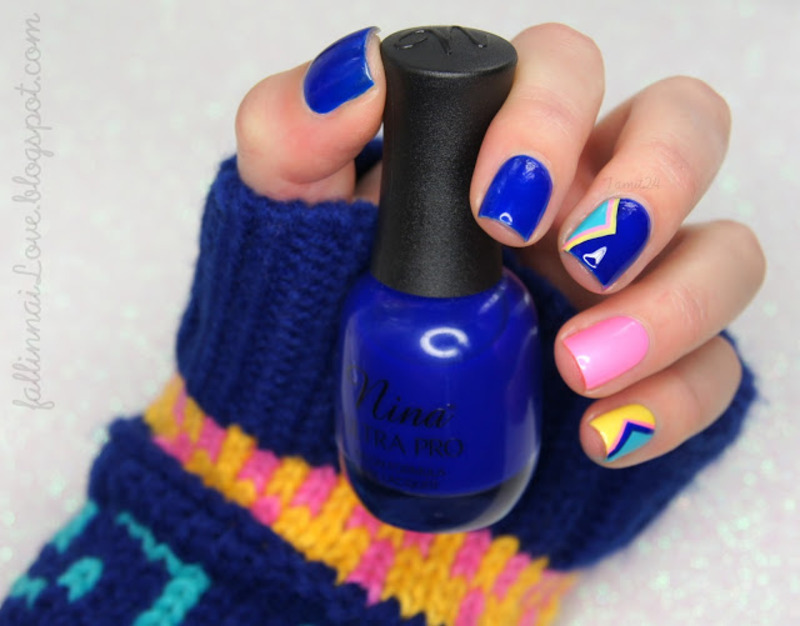 For me nail art is the best way to express myself… Everywhere I go, I can take a little bit of colour with me! That’s amazing! Hey hey! My name is Paulina but I’m better known as Tamit24 from fall in…naiLove!. I’m just an ordinary 23-year-old girl from Poland with a head full of creative ideas, soul addicted to art and heart filled with colours. Although I’ve got a mathematical mind, I’ve always been attracted by any kind of art: starting with painting, going through sewing and making jewelry, finally I’ve found my true passion- nail art and graphic design. Anything I do, I try my best to express myself and show who I am. I’m a free spirit who loves anything connected to boho or aztec style… Feathers forever! Although I’ve got a mathematical mind, I’ve always been attracted by any kind of art. 2. How did you get into nail art? That’s a difficult question! I remember I’ve always loved to have my nails polished but I think that nail art became my true passion about two years ago. It’s all started with…matching my nails to the outfit! I remember it well! It was many years ago when I had almost no idea about nails. It was a simple dotticure made with an old pen! 4. Where do you find your nail art inspiration? I find my inspiration everywhere! The main source of my nail art ideas is my wardrobe. I’m obsessed with matchy-matchy nails and I always try to match my manicure to the outfit. I can get inspired while shopping (frankly speaking, sometimes I visit shops only to search for some cool patterns or nice colour combinations). 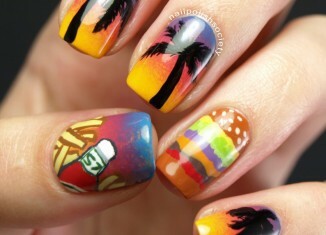 I’m often inspired by other nailart bloggers but I always try to add a piece of me to the things I create on my hands. Sometimes I visit shops only to search for some cool patterns or nice colour combinations. 5. How many bottles of nail polish do you own? Oopss…I don’t know the exact number of the bottles I own. I guess that I have about 400 different nailpolishes. My collection is growing bigger and bigger and now…it’s out of my control! That happens when you buy a new bottle everytime you want to cheer yourself up. 6. Do you have a favorite nail polish brand? Undoubtedly, my favourite brand ever is OPI. I can’t even explain why but I’ve got a huge sentiment towards it. I also love Models Own, Kiko and Colour Alike which comes form Poland (I’m really proud of the fact that we have such a brand here!). 7. 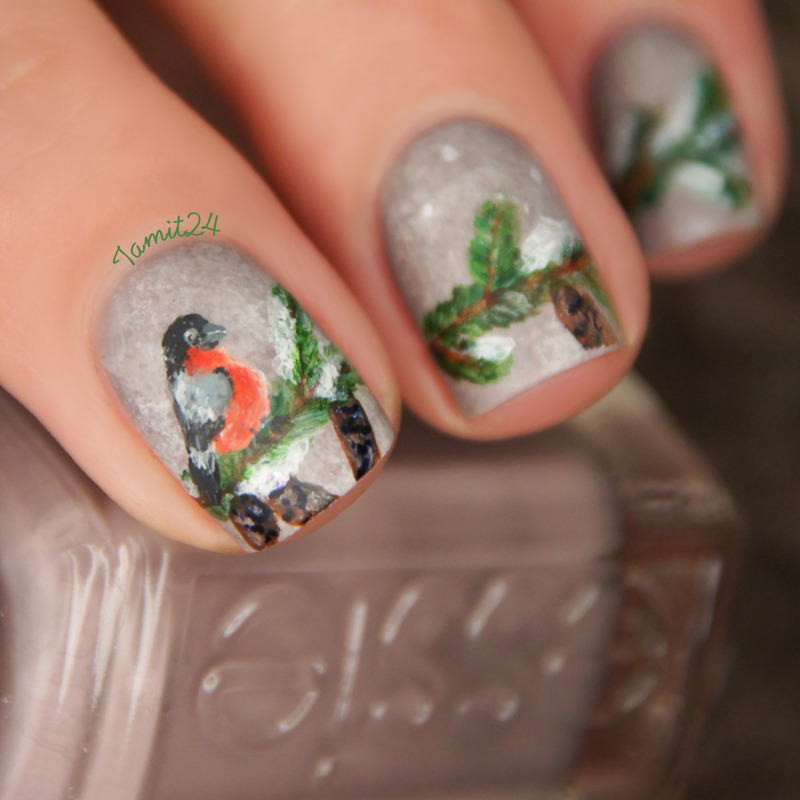 For freehand nail art, do you prefer to use acrylic paint or nail polish? I definitely prefer using acrylic paint for freehand. It gives more possibilities and it’s much easier to work with. 8. What are your favorite nail art brushes to use? 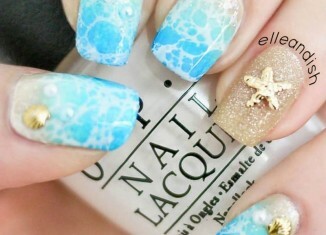 I think every nail art addict knows that searching for a perfect brush is a kind of never-ending story! Now my favourite nail art brushes are those bought at artist’s store. I choose the tiniest ones and they are almost perfect for me. The longest time I’ve spent on nail design was…almost two days (with some breaks of course!). 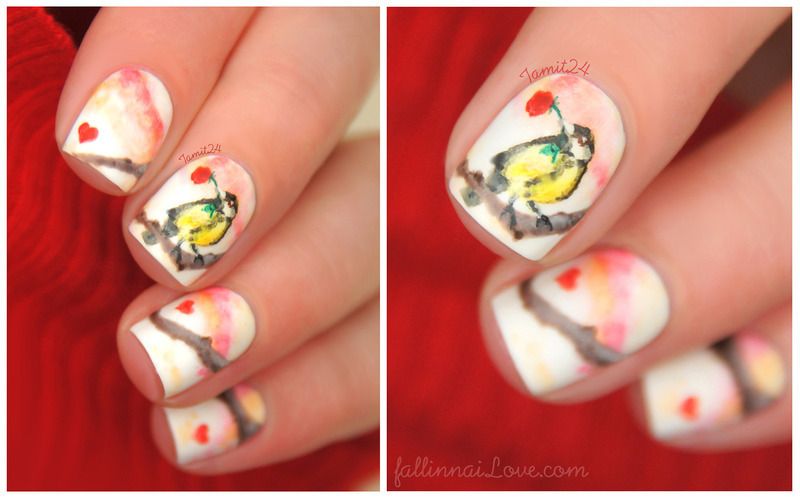 It was my Love Bird Nails design that I’ve prepared for Nailpolis Valentine’s Nail art Contest. 10. 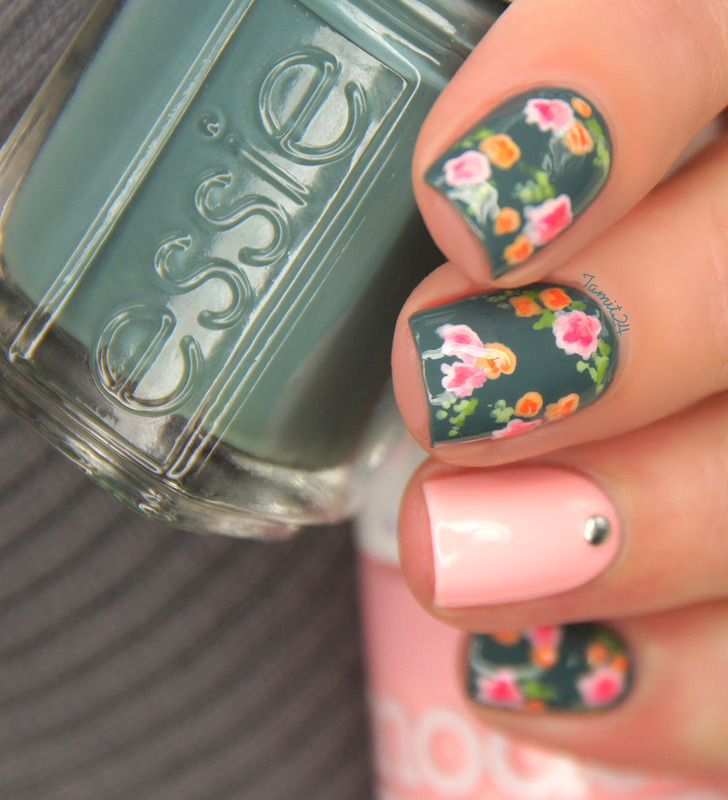 What do you love the most about nail art? 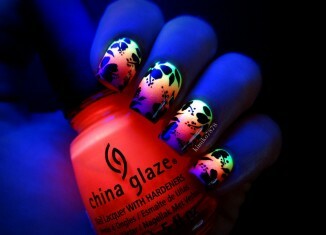 For me nail art is the best way to express myself: my addiction to colour, my style and my love to art. Everywhere I go, I can take a little bit of colour with me! That’s amazing! 11. Who are some of your favorite nail artists? My favourite nail artists are Lindsey from Wondrously Polished, Kelli from The Nail Polish Challenge and Panna Marchewka. I adore Pshiiit whom I often call my ‘nailpolish guru’. 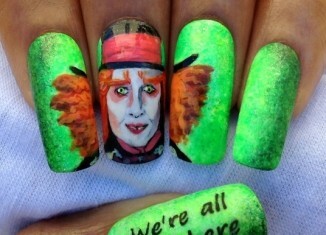 I adore her creativity! 12. If you could only listen to one song (on repeat) whenever you paint your nails, what would it be? Oh my… Just one? It’s impossible to choose just one! Lately I’m amazed with Banks. 13. If you could travel anywhere in the world, where would it be? If I had a chance to travel anywhere in the world, I think I’d love to go on a trip around Greece and Greek islands. I love Greek landscapes, climate and cuisine! Blogging made me more self-confident, let me discover my true passions and own style. 14. How has nail art made a difference in your life? It’s incredible how nail art addiction has influenced my life. First of all, it encouraged me to start my own blog. Blogging made me more self-confident, let me discover my true passions and own style. Moreover, I met so many fantastic people online! I’m sure, I wouldn’t have this chance without my blog. Since I’m a blogger, I’m a happier person, too! 15. 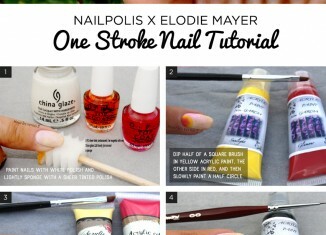 What is your #1 tip that you would like to share with your readers & other nail artists? My #1 tip? Be patient, do what you love, don’t let anyone get you down. Find your own style! 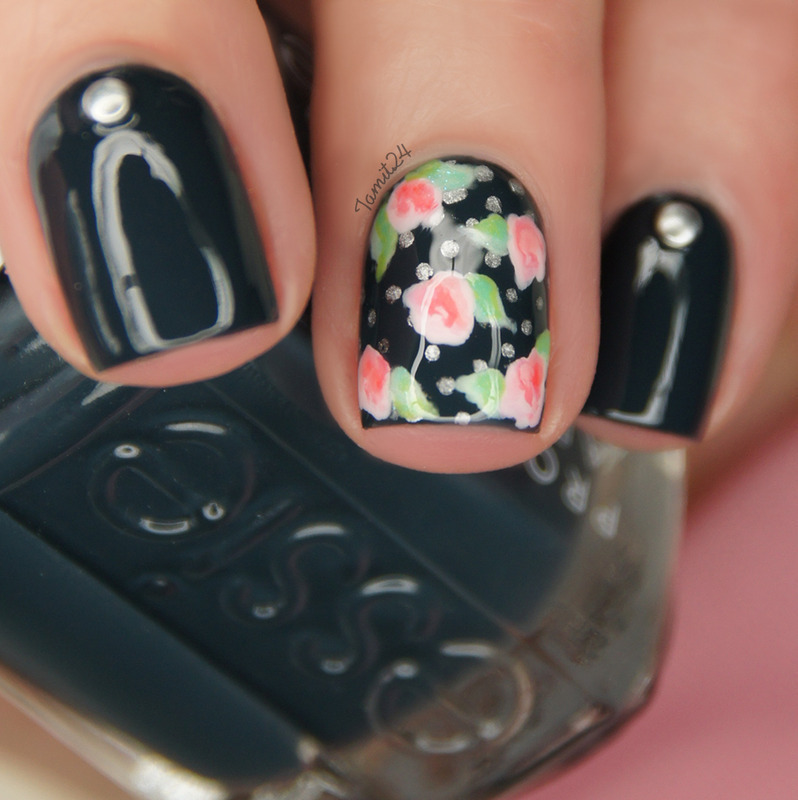 Don’t be afraid to try out any idea that comes into your mind- the more you practice, the better nail art you make! My #1 tip? Be patient, do what you love, don’t let anyone get you down. Thank you so much Paulina! We hope you enjoyed reading this interview. 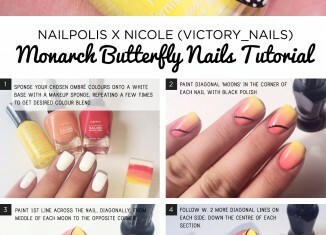 Don’t forget to visit Paulina’s blog & follow her nail art on Nailpolis!